At Henley Heights Construction we focus on quality and take great pride in attention to detail. We specialize in personal service before, during, and after construction. Our homes are built to have a great curb appeal, a beautiful interior design, and a functional layout that is created to meet your needs. We also ensure that it is built to suit the land and its neighbouring surroundings. Whether your dreams include a small urban bungalow or a large rural estate, Henley Heights can accommodate your needs in a design/build package. Whether we need to develop your infill property, find a building lot for you, or simply design and build a home on your existing infill property, we feel our experience and creativity will benefit you. The quality of construction and innovation of design used in building custom homes has also resulted in requests to construct light industrial buildings. 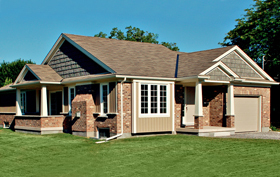 We have a special interest in providing quality built group homes for special needs individuals. 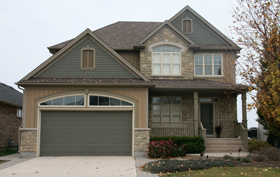 Our goal is to create a safe and durable home while maintaining the warmth and atmosphere of a family home. In accordance with Canada’s Anti-SPAM Legislation and the Consumer Protection Act, your contact information will only be kept on file for the purposes of contacting you with your consent. Your information will not be shared with any third party entities.